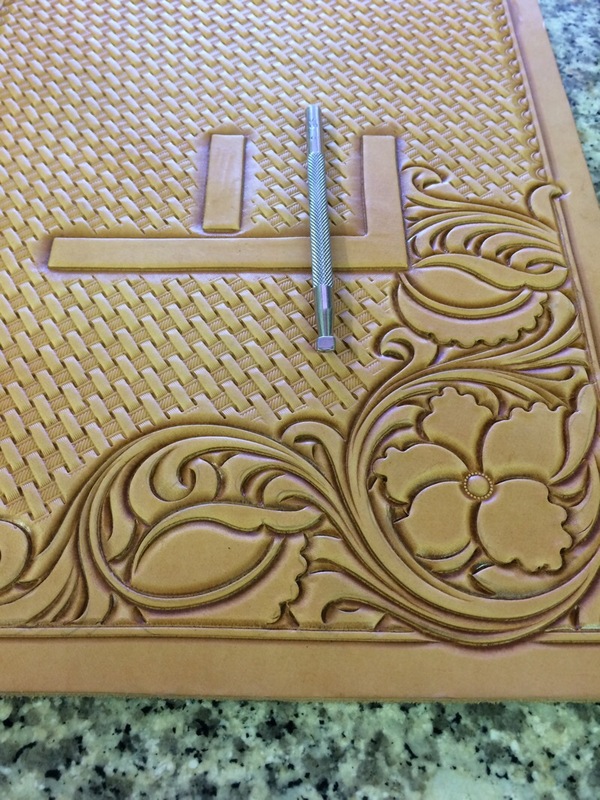 You bought a mess of leather stamping tools for tooling leather tooling patterns. 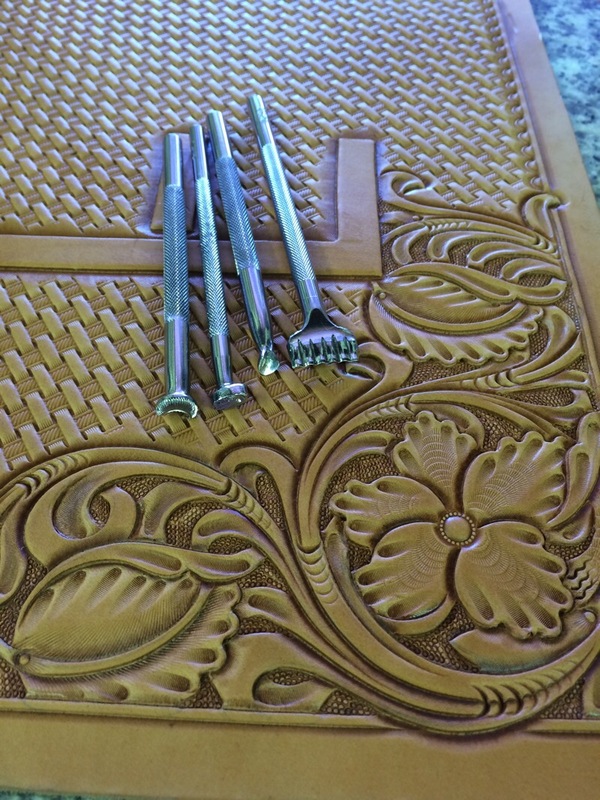 What do all these tools for stamping leather do and where to use them? 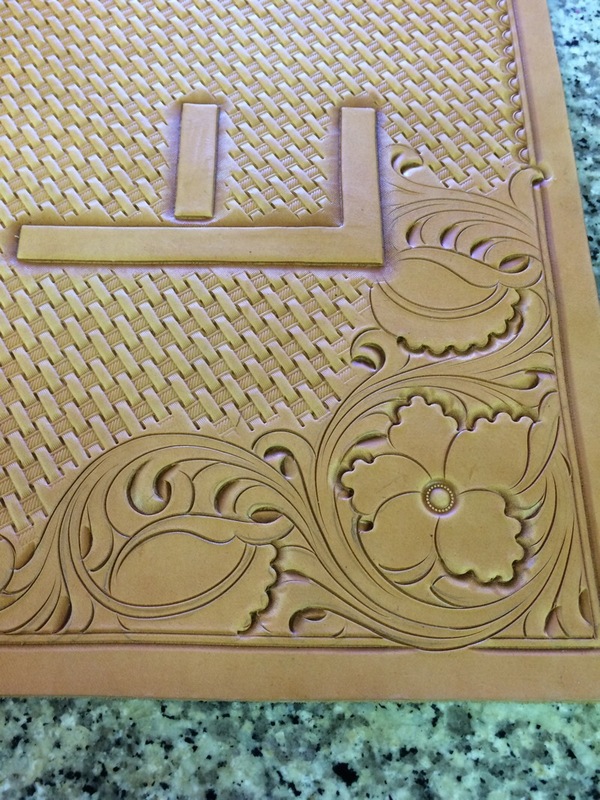 This is a common challenge for us when we start tooling leather. 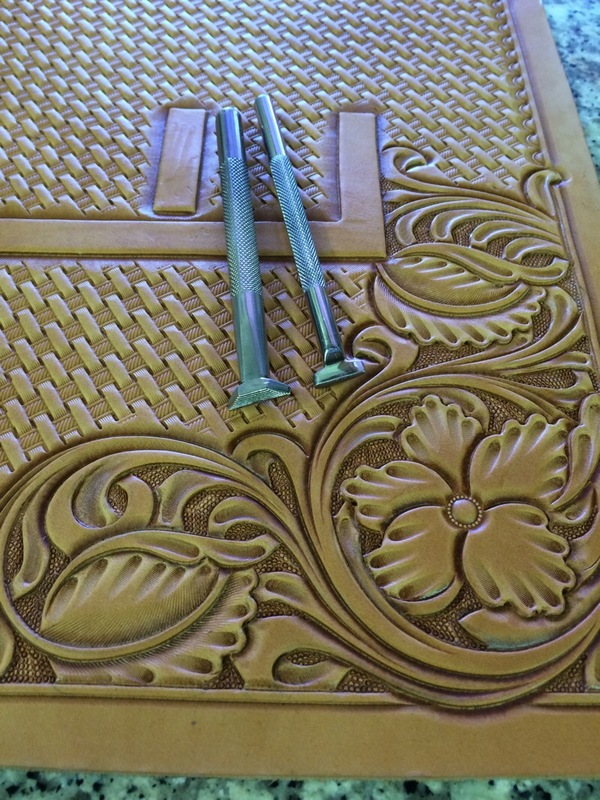 We gather all the tools, a good mallet and some floral tooling patterns. Yet we are unclear of what some of tools are for or how to use them. Other areas that I struggled with early on was the proper order to use the tools in. I found myself rambling through the patterns in a completely random fashion. This led to long tooling sessions that left me feeling a bit lost and confused. Each video covers a certain number of stamping tools in the order that I use them in my work everyday. 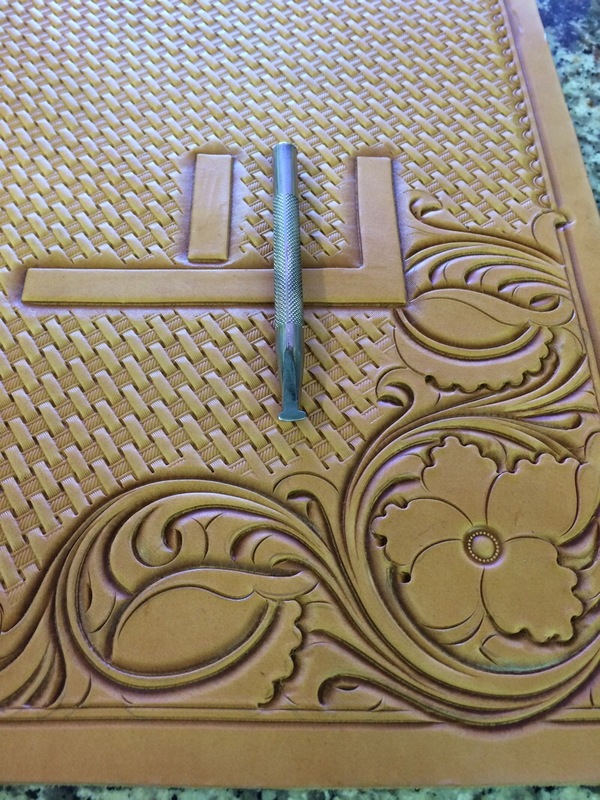 You will see how I use each tool for this particular tooling pattern. The use of many of these tools takes practice and sometimes requires a little trick to use and we go through this in the videos. 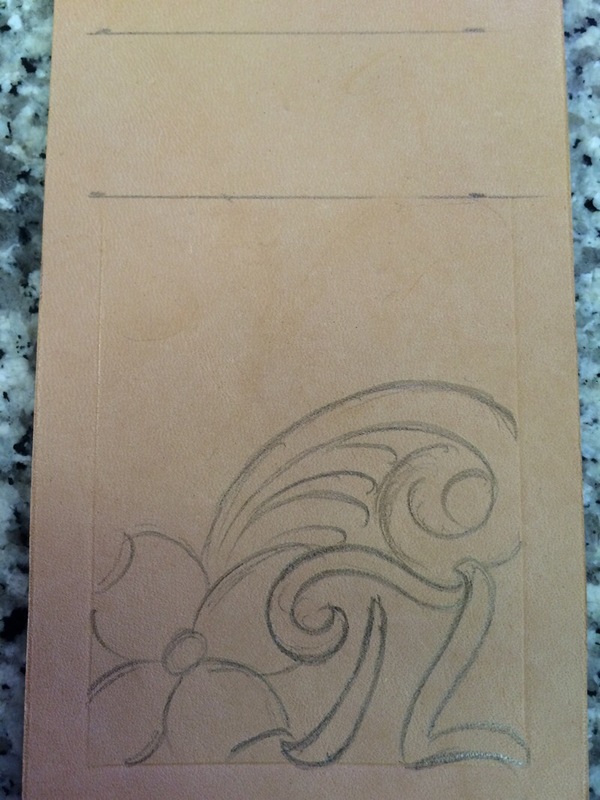 Learning how to draw on leather can really help to speed up your work and help you to not waste time drawing something and then having to transfer it later. This is article will show you how to draw right on your projects and feel confident in your drawing skills. The first thing I do is find my center of the wallet where it will fold. 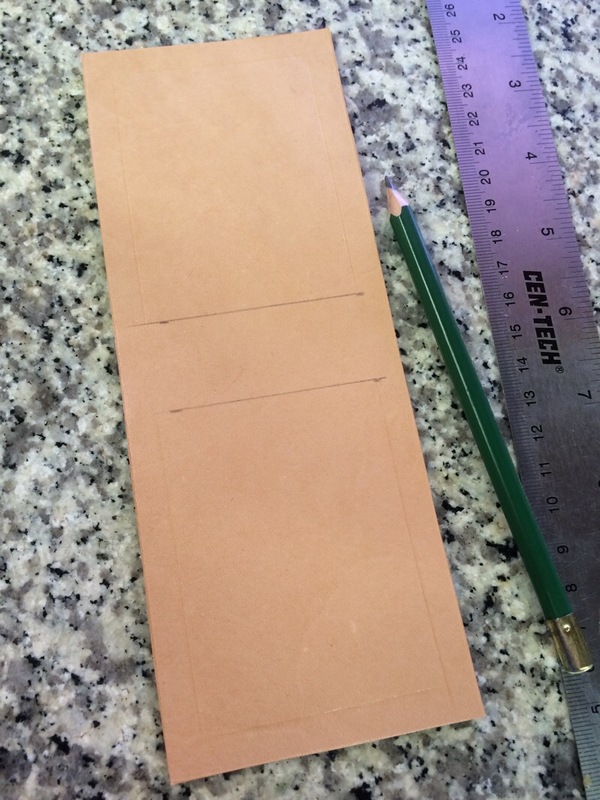 To allow room for the fold I make a mark 1/2″ on each side of center. I do that on each edge of the wallet, so you should have four marks. 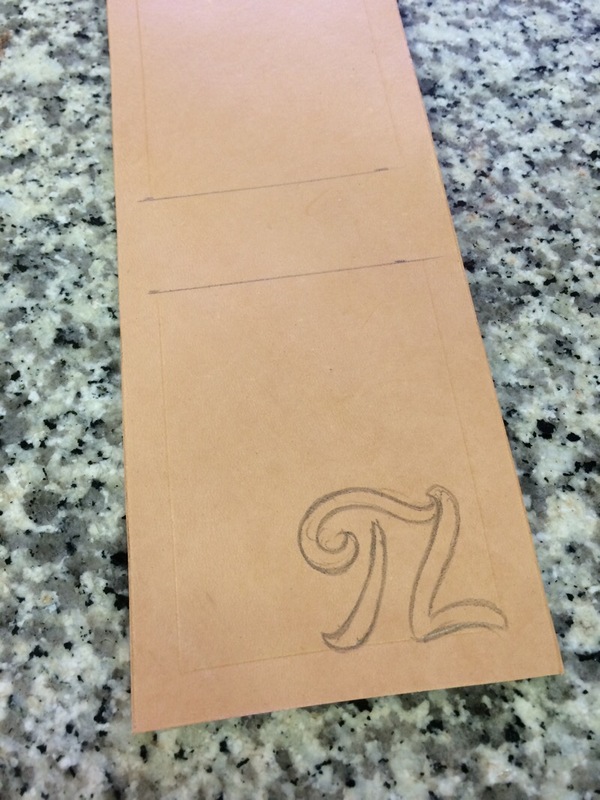 Now I draw a line connecting the marks to define the fold area… I don’t usually tool the fold on my wallets. 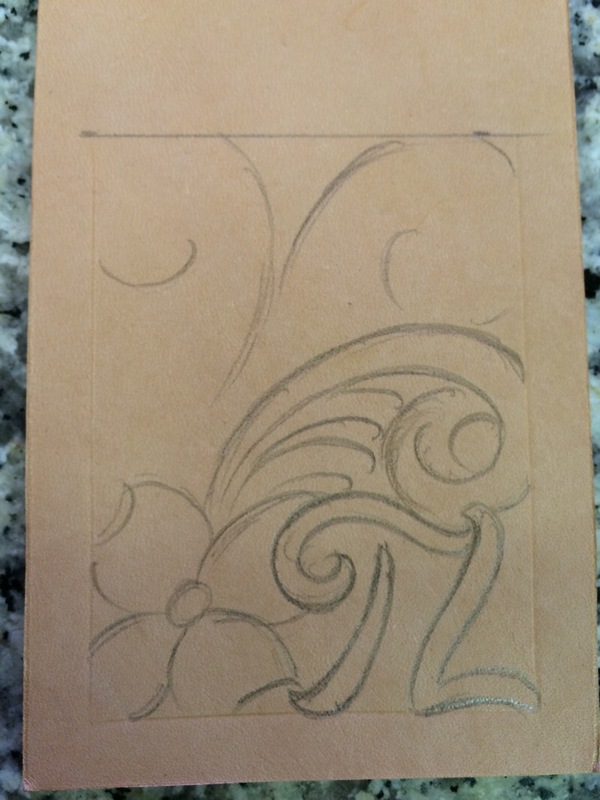 Next I set calipers to the width that I want my border and scribe my border lines. You should end up with two tooling windows ready for design. If I’m putting initials on the wallet I draw these in first. Here I have placed a flower next to the initials which will seperate the initials from the floral nicely. 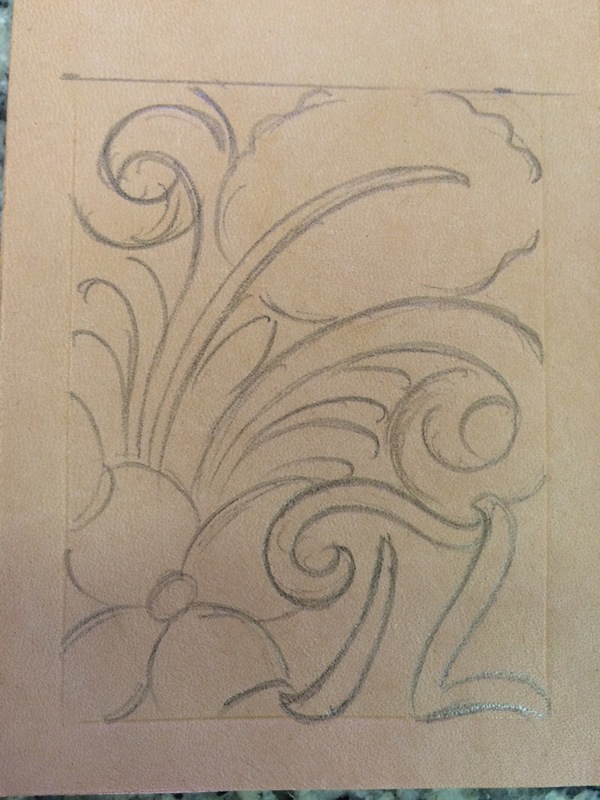 Next I draw in some scroll guidelines roughly to determine the flow I want within the pattern. Now I begin to define my scrolls and vine work using my previous lines as a guide for flow. I didn’t like how the flow was layed in at first so I just simply erase the two lines I don’t like. Using the 8B pencil allows me to erase and leaves no impression of the lines behind. I decided to fill some space with a leaf. 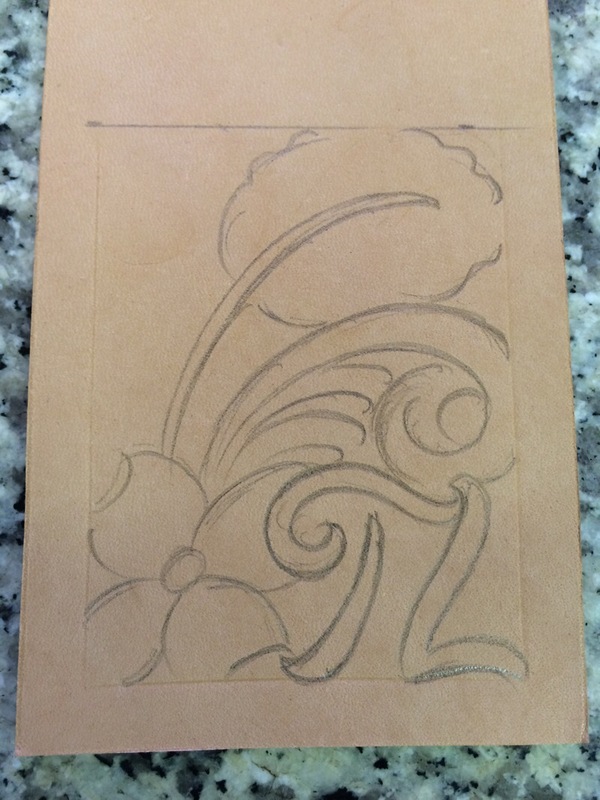 When you add leaves and flowers into the pattern, keep the flow in mind so that it bends and shapes accordingly. 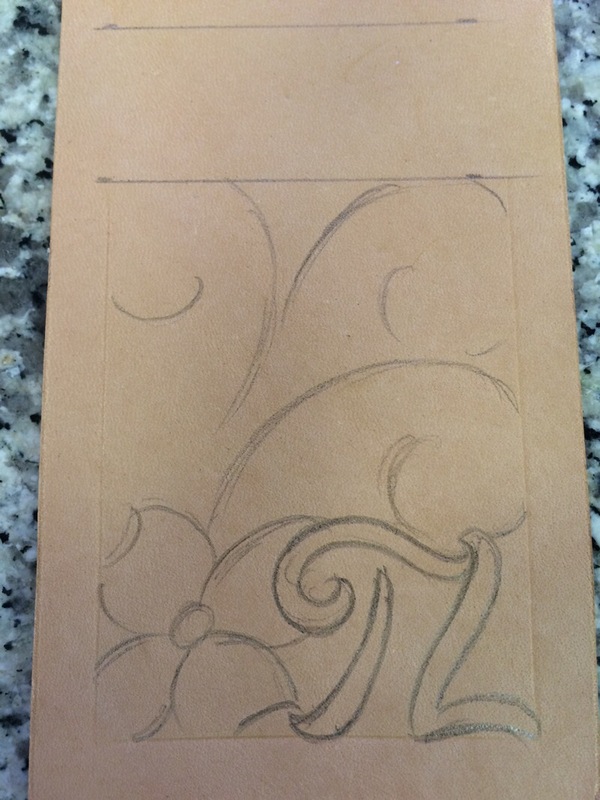 As you can see the leaf took a lot of the open space and the gaps can easily be filled now with scroll and vine work. For the most part, the original flow I sketched in is maintained. The only thing I really changed was using the leaf to balance the pattern a little. Let us know what you think about this or any other post on our site by following us on facebook, Instagram or twitter. Thanks and keep drawing! 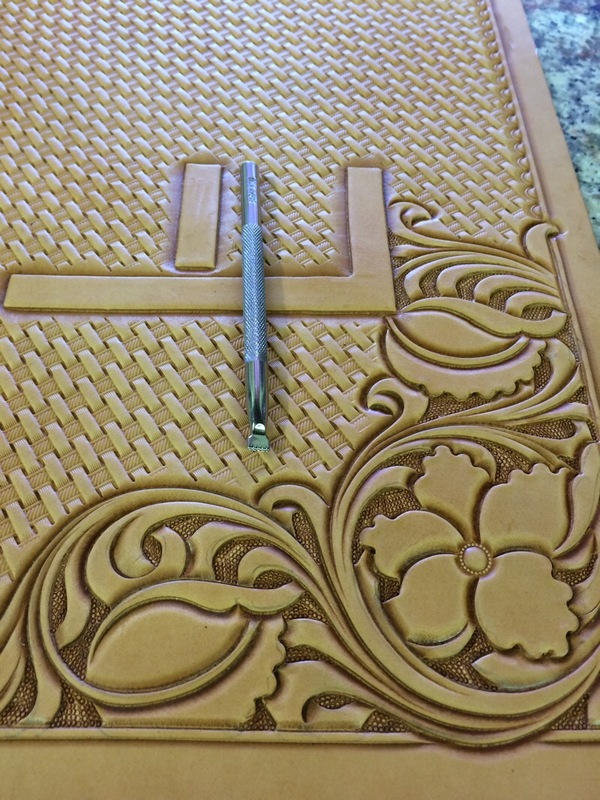 One of the biggest issues involved in making a custom belt is getting the belt blank cut to the right length. Everyone has their own way of coming up with that measurement, but this is how to measure belt size. First, I don’t accept a pant size or a marked size off the belt they wear. 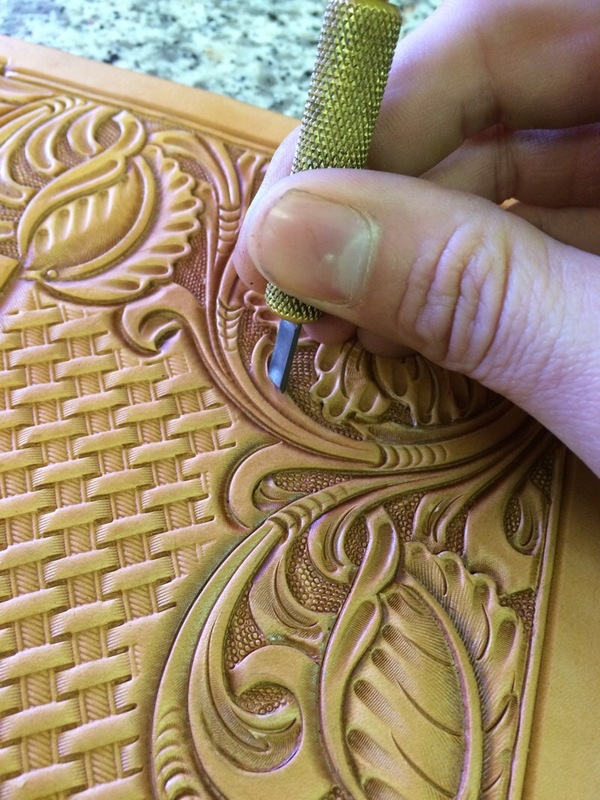 This leaves too much to chance and more times than not will leave you remaking a belt. The belt they are wearing may be a 36” but they may be wearing it in the tightest hole. This would mean, depending on the hole spacing and number of holes on the belt, that they are probably closer to a 34”. I’m sure there are some useful belt size charts that you can find on the web. The problem with these charts is like I said above, the chart doesn’t take into account what hole the person is using on the belt. I don’t feel comfortable using a chart to produce a belt for a customer. It leaves too chance and I feel more confident with an actual measurement like the one I will show you here. For all my customers, I make them measure the belt they wear currently. This is important! Not a belt they use to wear or one their husband wore in high school, but a belt they wear now. Many a wife has been trying to surprise hubby for an anniversary and snags a belt out of his closet and brings it to me to measure and he hasn’t worn that belt in 15 years. Now, in her eyes he is still the slim waisted stud he was then, but based on the fact that his new belt I made him didn’t fit, Mr. Stud put on a bit of post marital mass. Keep your remakes to a minimum and demand a good measurement period. Bend: The point where the belt bends around the buckle hanger and snaps closed. This does not include the flap that folds behind the belt. “The hole they wear it in”: This doesn’t matter if it’s the tightest hole, loosest hole, or a hole they added in the belt. Whatever hole they wear it in. Buckle style: This is important because a trophy buckle will demand a shorter belt than a small ranger style buckle. It does not have to be “the” buckle so long as it is of similar style. All buckles are a little different but the style is the main thing here. Trophy buckle or ranger style. Once you have stripped the belt blank off the blocked side in the width you want for the belt, you need to cut it for the customer’s size. I figure this by adding 10.5” to the measurement from their belt. So if they gave me a 34” measurement then I would cut their blank 44.5”. The 10.5” comes from 3.5” for the flap that folds back at the bend and then 7” from the center hole to the tip. 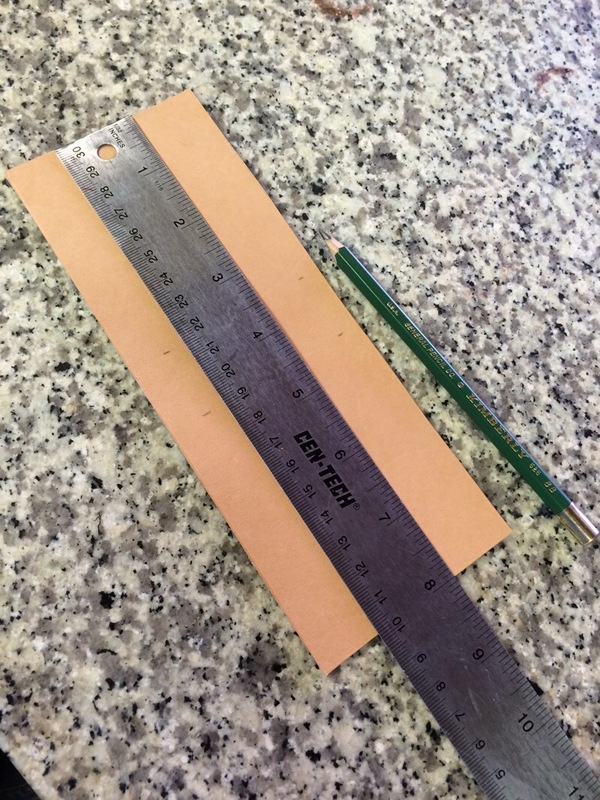 If you want more tip to hang out past the buckle then you can make the tip measurement 8”… if you do this you would add 11.5” to their measurement instead of 10.5”. I have used this technique for many years and aside from a bad measurement here and there I have had very few problems and my fit is good every time. This becomes very important when putting names in the back of belts or making tapered belts and keeping things centered and balanced. 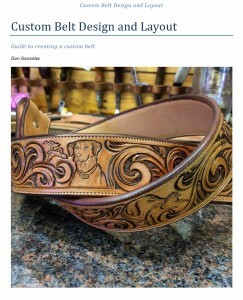 For more information on making and designing custom belts follow the link below to purchase our new eBooklet! 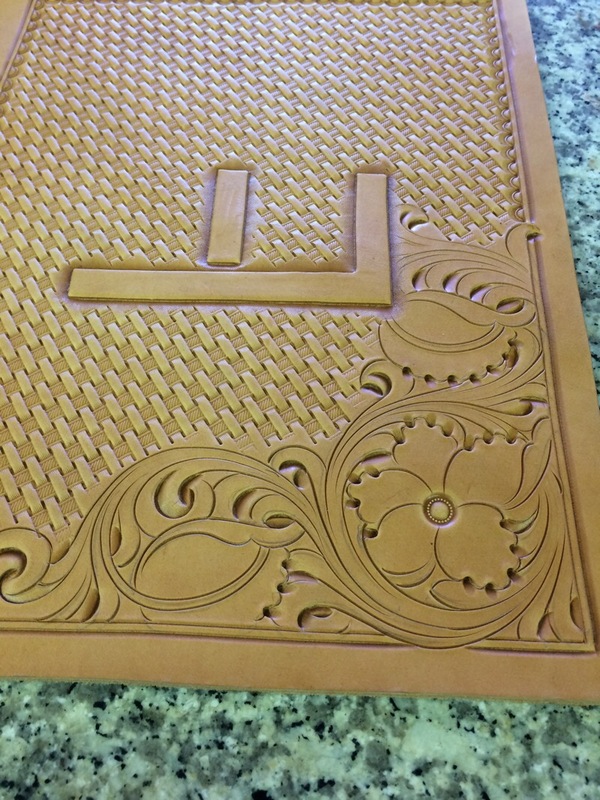 This booklet touches on topics from sizing to finishing a custom belt. 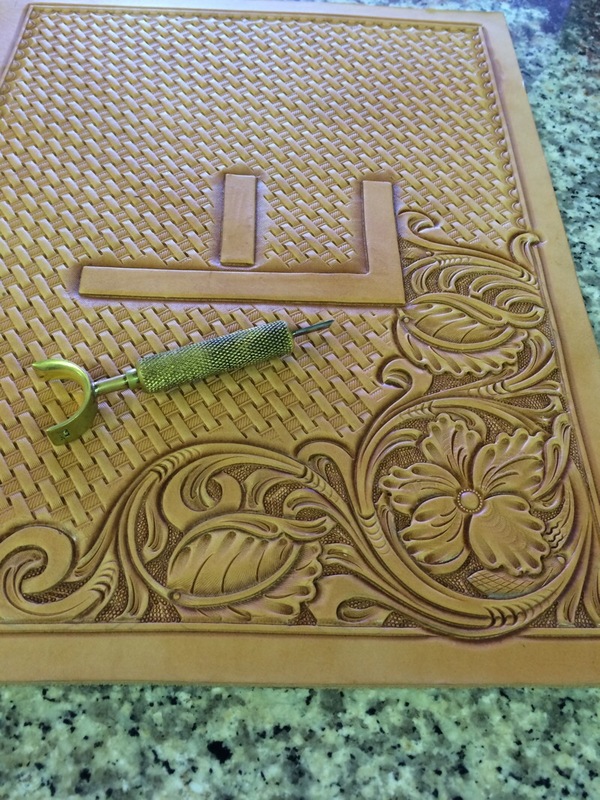 For Free patterns and patterns available for purchase, visit our Leather Tooling Patterns page often. We are adding to this page as fast as we can!